"Umm, is something missing here?" Whee guinea pigs have been thoroughly enjoying our new toys. 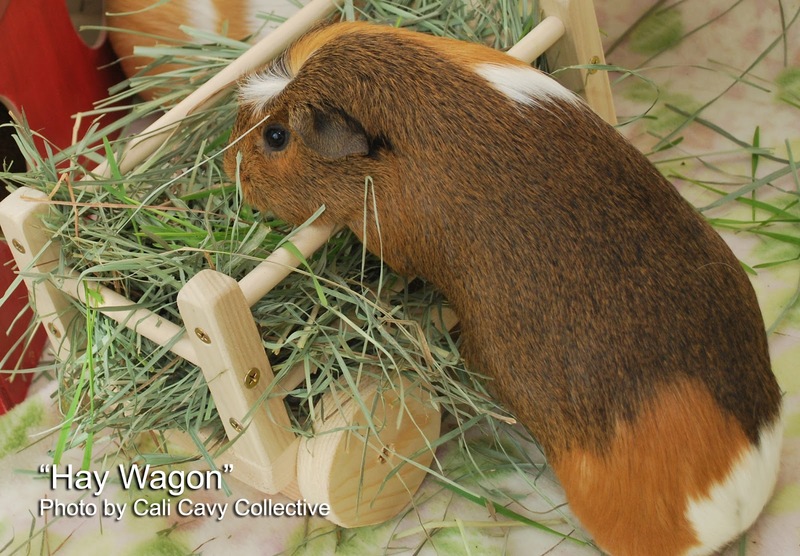 First up is this sturdy wooden wagon made for holding hay. 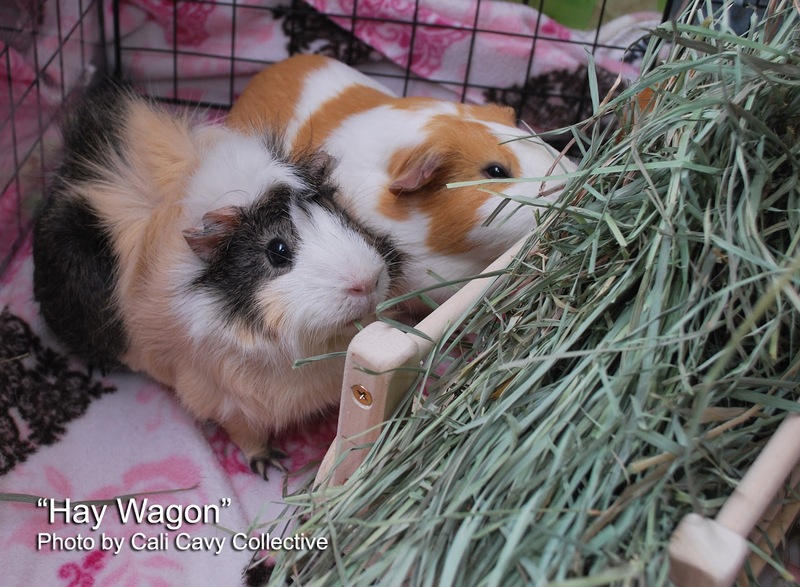 The hay wagon is a novel and entertaining way to give us pigs our essential daily servings of hay. It measures 10" x 6" x 7" and is chew safe, so it is fine if we gnaw on the wood. 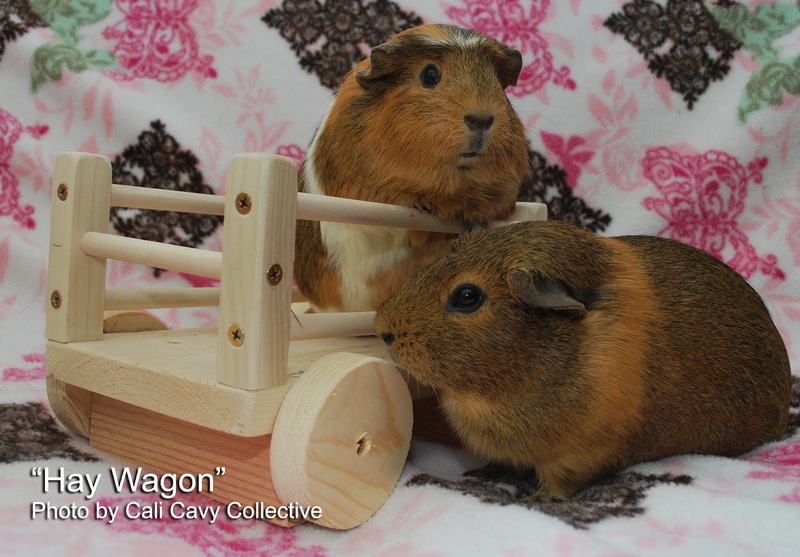 It is solidly built so if we stand on our hind legs and put our paws on the sides it will not tip over. 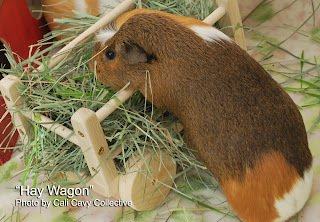 Revy can personally vouch for its sturdiness, as she has been able to comfortably fit all three pounds of her "muscular" Abyssinian frame into the wagon on top of everything with room to spare - on multiple occasions. 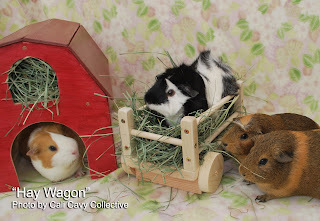 If you would like to order one for your guinea pig or find out more, check out Wheek Boutique on Etsy or email guineapighouses@yahoo.com. I am making a list of things to order for Boomzilla, Starbuck, Woody and Sir Harry. Mopsy, that is excellent! Whee are sure that even the demanding Boomzilla will be pleased.